After the Vaishno Devi shrine in Jammu and Kashmir, it is now the turn of Golden Temple, Durgiana Mandir, Jallianwala Bagh and India-Pakistan Wagah Border in Amritsar to go green. Officials from the Punjab Energy Development Agency on Wednesday discussed the installation of solar and other renewable energy sources at important places in the state with Minister of New and Renewable Energy Farooq Abdullah. The Ministry, which reviewed its existing projects, also gave a go-ahead for renewable energy projects at Muslim shrines of Char-e-Sharif and Hazrat Bal and the state Assembly and Raj Bhawan in Jammu and Kashmir. The progress of bio-gas plant at Vaishno Devi, which will generate 250 units of power daily using four tonnes of mule dung, and installation of solar power generation plant for water heating and battery charging units, was also discussed. For renewable energy systems at Golden Temple, Durgiana Mandir, Jallianwala Bagh and Wagah Border, the Centre will provide technical and financial aid under its Special Area Demonstration Programme. 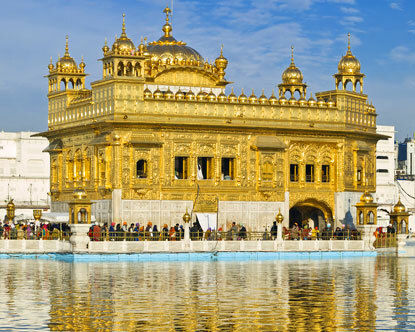 For Golden Temple, two projects are under consideration - one for solar illumination of Darbar Sahib and Akal Takht and other for cooking and water heating requirements for langar, using bio-mass from kitchen waste.